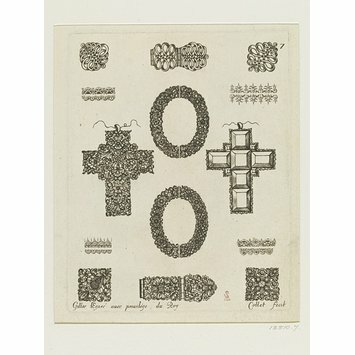 Numbered '7' in the upper right of the plate. Gilles Légaré. 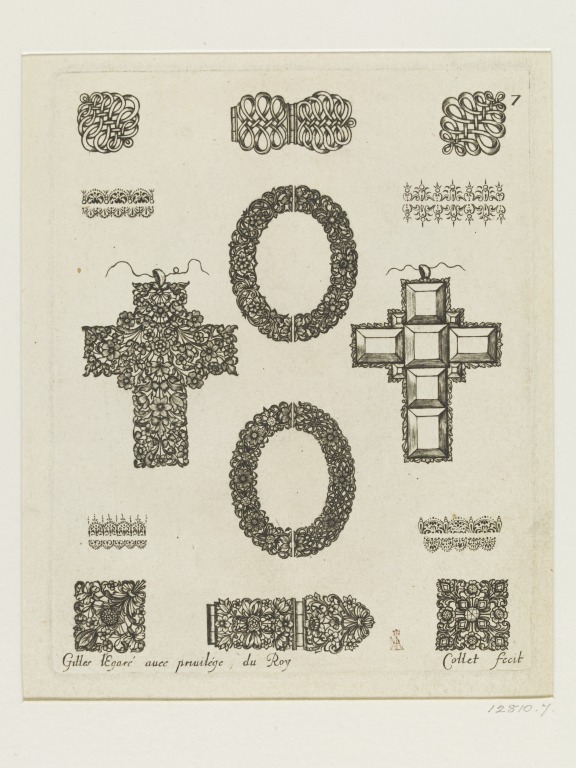 Plate from a suite of 12 designs for jewellery entitled 'Livres des Ouvrages d'Orfevrerie'. Paris, 1663. Fuhring, P. Ornament prints in the Rijksmuseum II: The Seventeenth Century, 3 vols, Rotterdam, 2004, vol. 1, nos. 1770-1776.